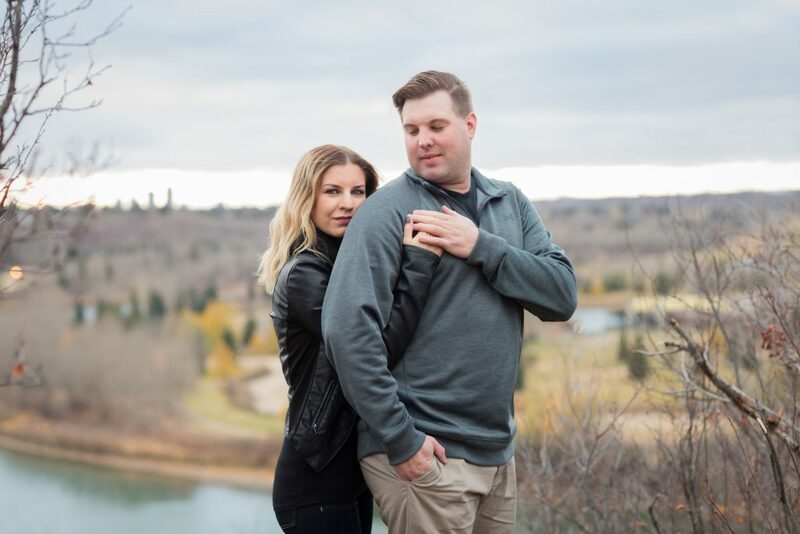 Chris and Alana’s Strathcona Science Park engagement photos were taken on a moody autumn afternoon. 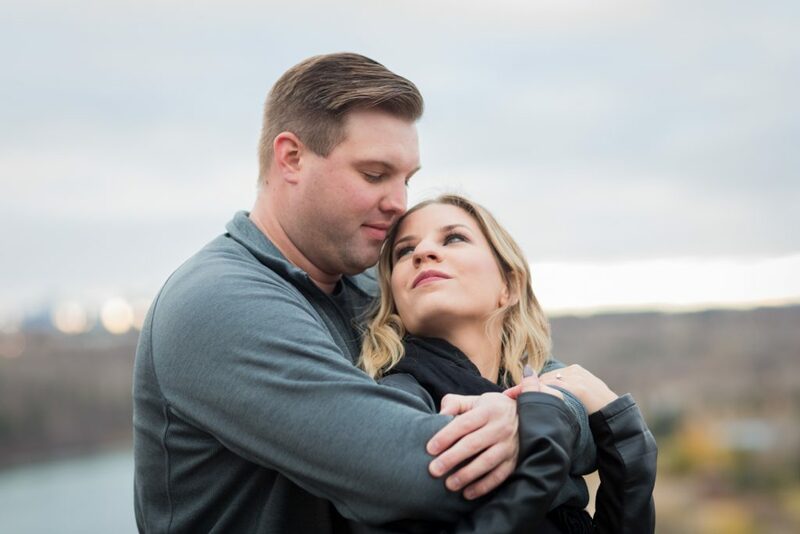 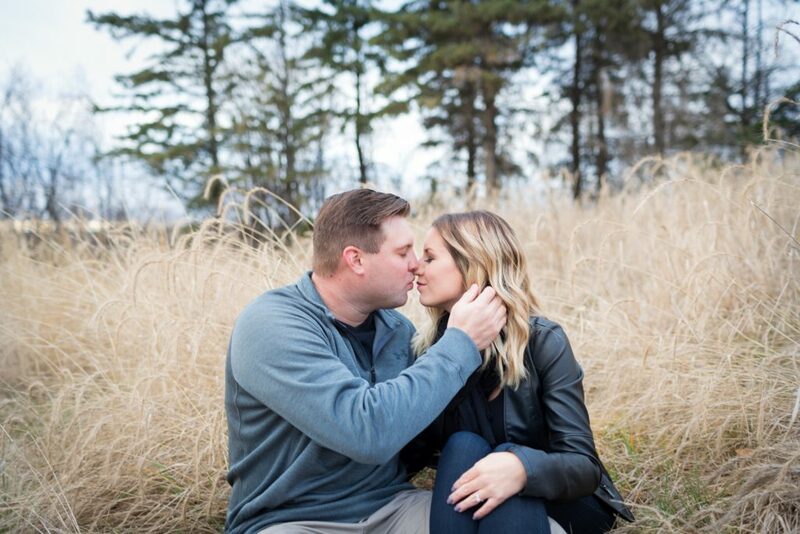 This cool couple rocked their cool weather engagement photos with lots of snuggles. 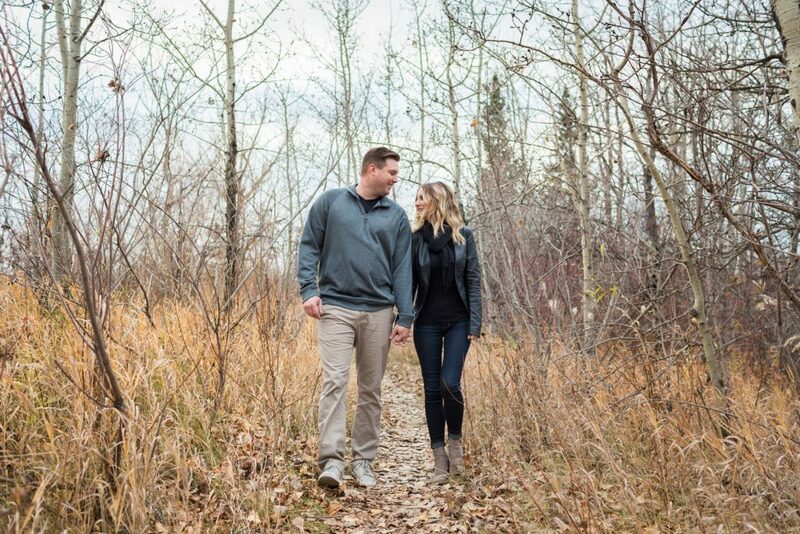 Autumn in Edmonton is brief but beautiful, even if the leaves have already fallen off of the trees. 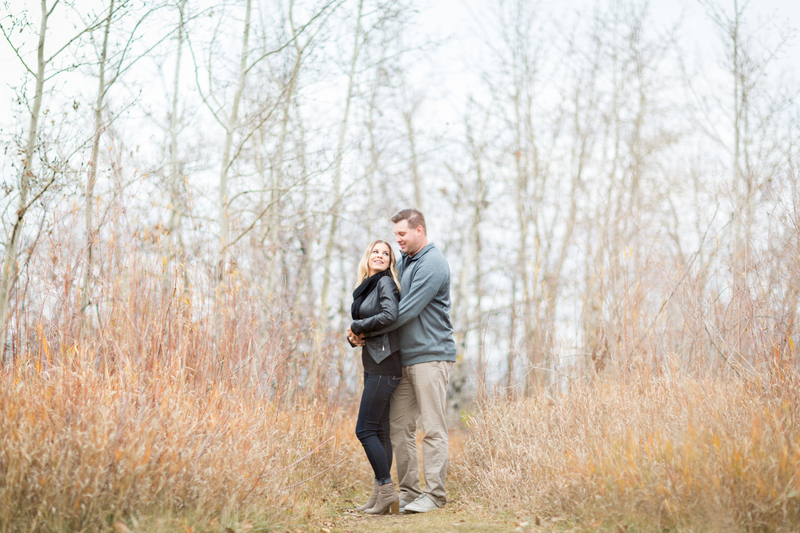 We love the look of bare trees as a very rustic and authentic Alberta backdrop. 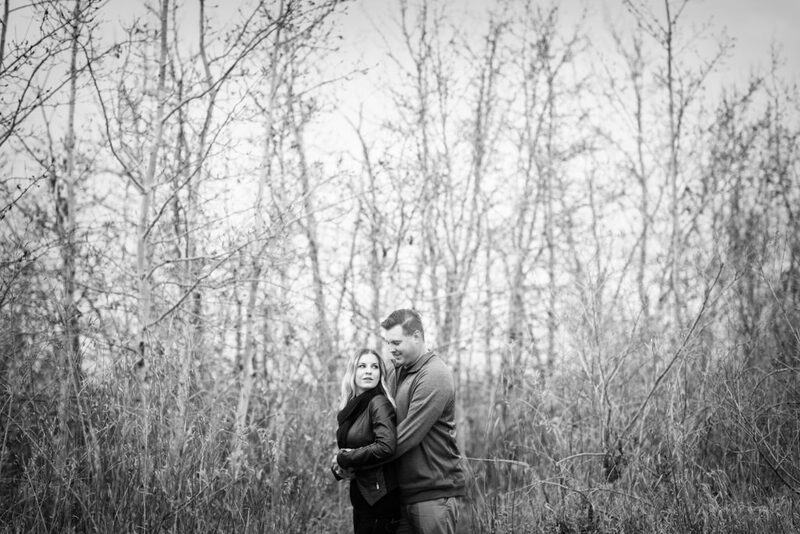 Strathcona Science Park is one of our favourite locations for romantic and moody engagement photos. 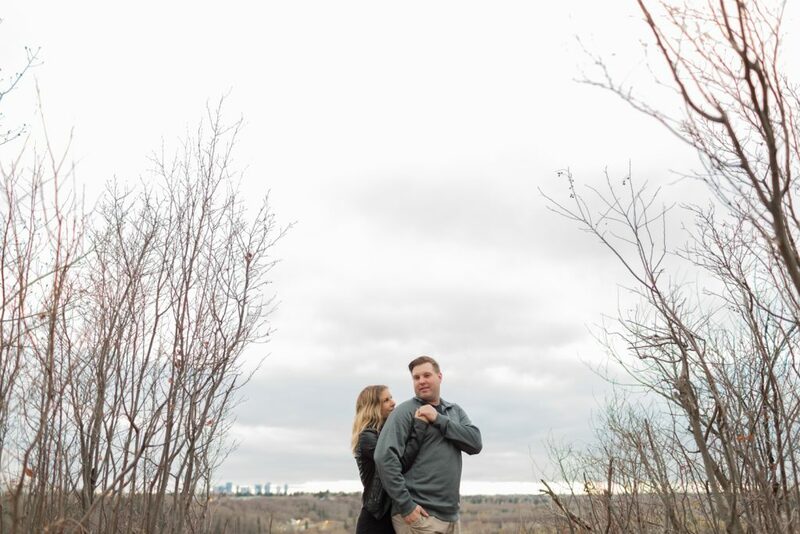 This park offers a variety of different types of scenery and an amazing view of the sun as it sets over the city to the west. 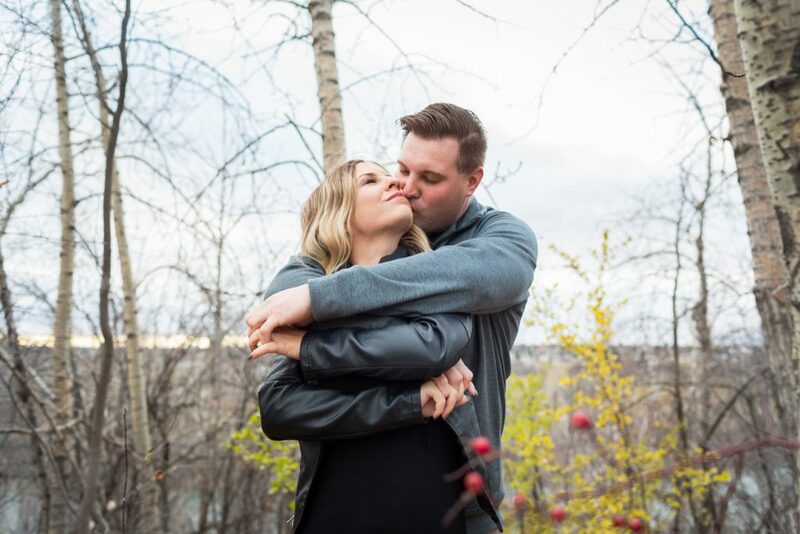 Chris and Alana are absolute sweethearts. 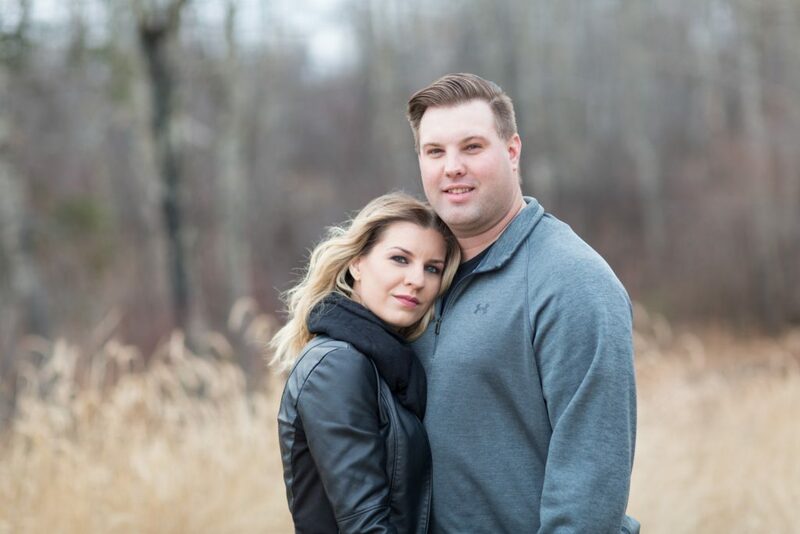 We first met Chris back in 2014 when he was a groomsman. 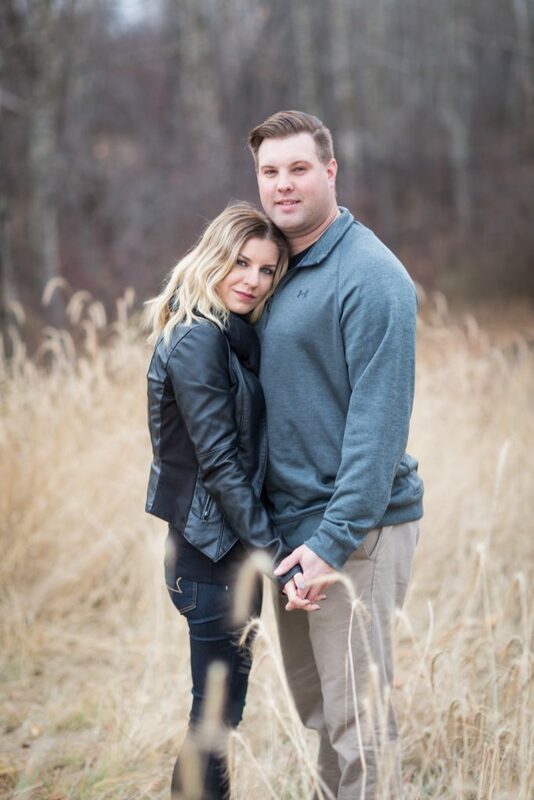 With his help, their wedding party rocked the wedding day and made sure that the newlyweds had a party they would not soon forget. 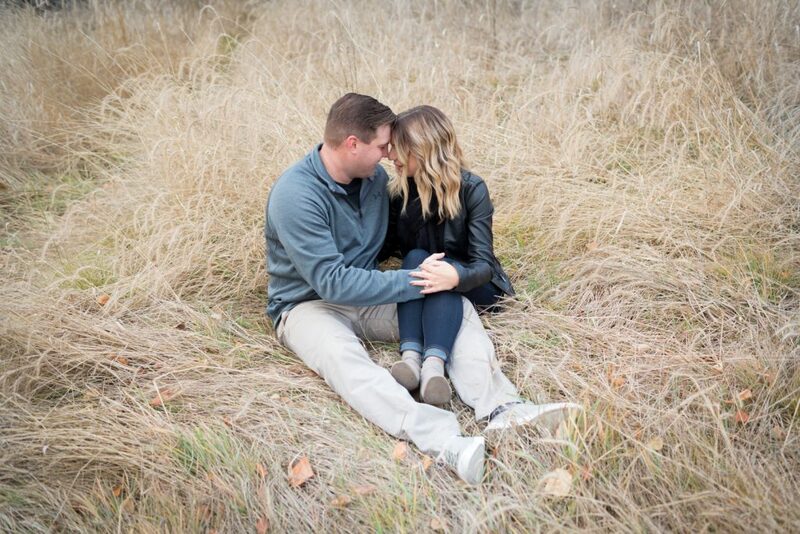 We are very excited to be working with such an amazing couple and we cannot wait for their wedding this summer! 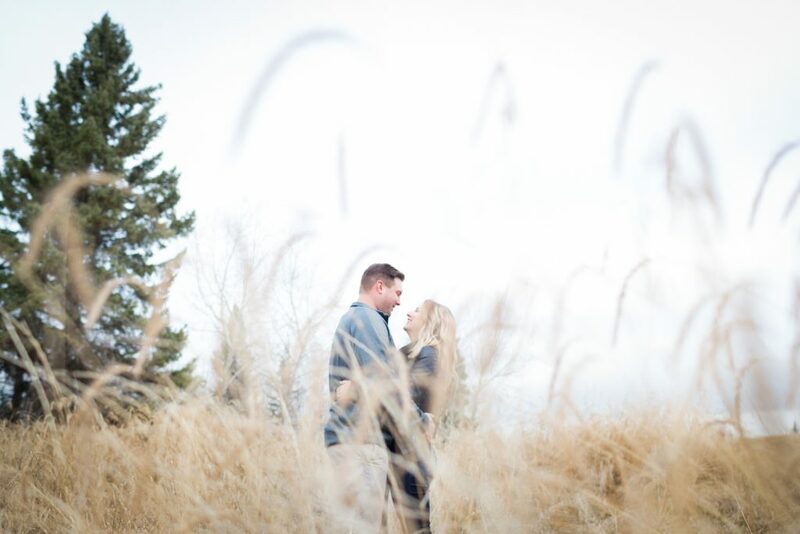 Thank you for inviting Deep Blue Photography to capture your romantic Strathcona Science Park engagement photos!